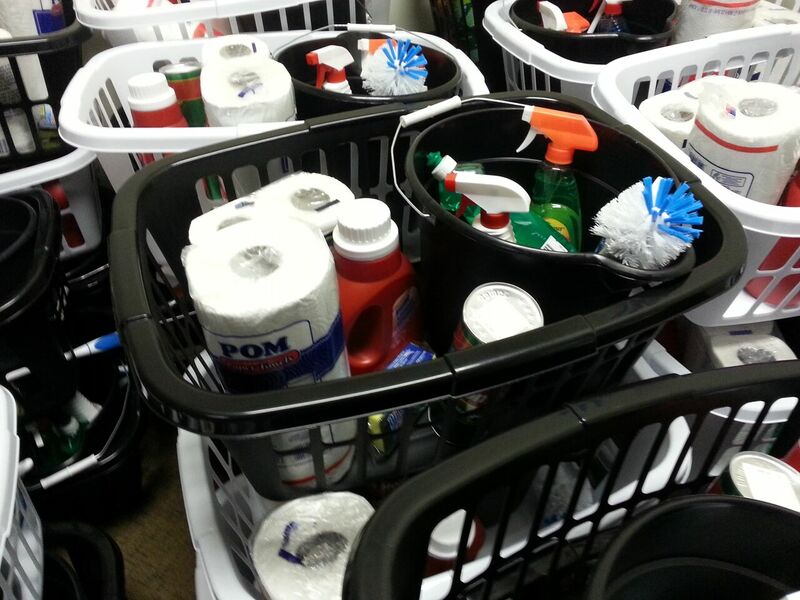 The first component of Simple Household Needs involves ‘cleaning kits’ to help families sanitize and dignify their surroundings. Our donors and volunteers buy or donate the components for the kits, which are new laundry baskets filled with paper towels, glass cleaner, all purpose spray cleaner, a utility pail, bathroom tissue, laundry detergent, Comet, a toilet bowl brush, sponges, dish detergent, a small brush/dust pan, disinfectant spray, a dish brush, a duster, and toilet bowl cleaner. We also collect new mops and brooms for our furniture clients. Social workers help us distribute these kits to families. They also go to our furniture clients (see below) and to several agencies who shelter clients in apartments (such as LiveSAFE Resources). The second part of our program involves collecting new or gently used items that can help people in need turn a house or apartment into a home. We take donations of gently used (no damage, stains or tears or excess wear) of furniture such as beds, tables and chairs, dressers and more. We also collect smaller items such as linens, dishes, silverware… think of the essential items you would need if you had nothing in a new home. We do not need china cabinets or large entertainment centers. 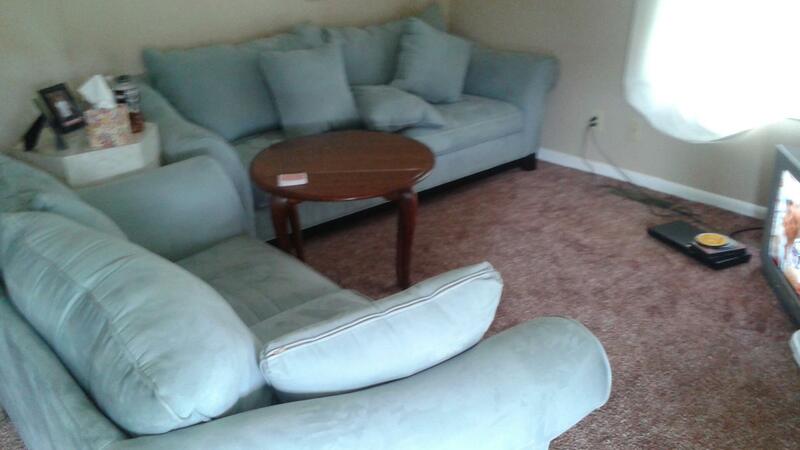 We request photos of all furniture donations before we agree to take. Our goal is to maintain our client’s dignity. Here’s a full list of our needed items. Comfy furniture installed in the apartment of a Simple Needs GA client. The family was thrilled! A NOTE ON LARGE FURNITURE: We have a small storage unit in which we store donations. Due to the small size of that unit, we can’t accept every donation. We ask that you email brenda@simpleneedsga.org with a list of what you have, along with photos, so that we can determine what we can use at that time. We do pick up donations when we have trucks and volunteers available.